Our Leadership Spotlight series features the most successful student group leaders from universities around the country. Get to know their outstanding organizations and see how CampusGroups is helping them make an impact on campus and beyond. Elena is President of Rice's chapter of the National Association of Women MBAs. 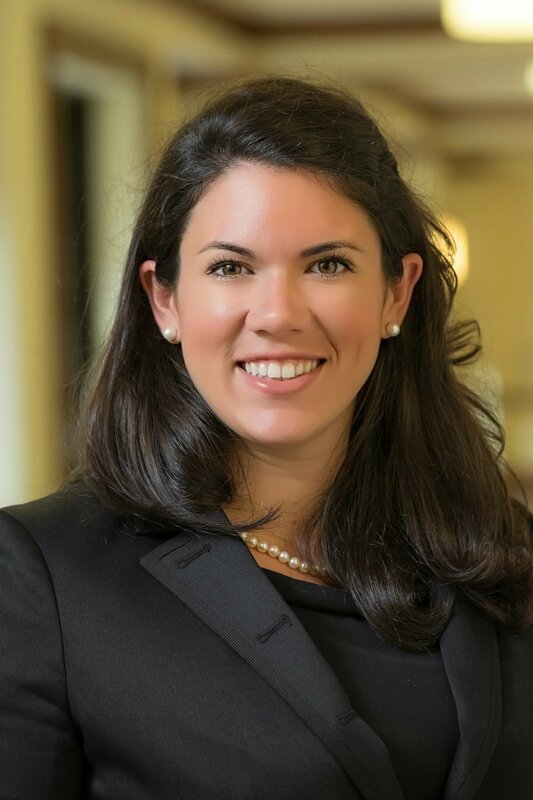 She leads the organization of more than 70 members from three different MBA programs, with most of the group's activity focused on professional networking events. "We're marketing the group to both MBAs and executives at companies as the chance to make connections with each other," Elena explains. For members of NAWMBA, CampusGroups is the central hub for all information about upcoming events and group activity. Elena spent a year as a member of the group before becoming president, and learned many things along the way that she applies as a leader now. "Our group was not as communicative with us before. We didn't put our events up with enough lead time on CampusGroups, so that's one of the big things I focus on now," says Elena. "That's why I'm posting on there all the time." Her goal is to keep NAWMBA's many members as informed and active as possible. "Our events are broadcasted, but only members can attend," says Elena. "Even though we are a women's organization, I invite guys to join the group and go to other events." 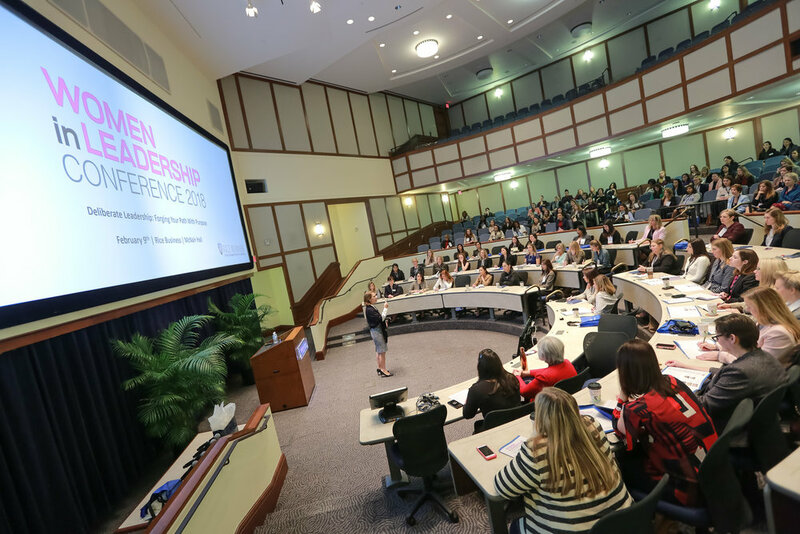 The 18th annual Women in Leadership Conference at Rice Business was, as Elena puts it, "the most successful to date." Tickets for the conference sold out a week in advance, with a long waitlist of hopeful attendees. The conference featured 37 panelists, keynote speakers, and moderators. Elena and her fellow officers spend a great deal of time strategizing and preparing for the conference, and it's clear their hard work paid off. "We raised a record amount from sponsors, and all the leftover funds will be used to provide scholarships for our members for the next school year," says Elena. Plans are already underway for next year's event, scheduled for February 8, 2019. Although the group includes 11 officer positions, Elena continues to work on the day-to-day operations, sharing updates and staying in touch with NAWMBA members. "I want to make sure they have a reason to be on the website, so they see the notifications and know it's worthwhile," Elena says. "Internship opportunities, seminars, luncheons — we try to post things that help people get off campus since they spend so much time here." For many first-year MBA students, the hours are filled with classwork on finance and accounting, plus recruiting events for various professional fields. "Those recruiting processes are like a part-time job on top of everything else," says Elena. "For a lot of our events, we try to provide something enjoyable, like a lunch and learn, so students get a break from classes." As president of nawmba, Elena is always working on new and better ways to engage her group members, whether she's focused on email open rates or event lunch options. Elena uses the analytics tools within CampusGroups to help drive engagement through email. "I check to see whether I get higher open rates if I'm sending at 8:00 a.m. or 8:00 p.m. I also check on clicks to see who is most interested," she says. "For instance, if it's an internship opportunity, I know second-years aren't going to be as interested. I select them out and target the right groups so they get more impactful and important emails." Elena has also leveraged the survey feature in CampusGroups to make her group's events even more enticing. "Whenever someone RSVPs to an event, they can put in a food order, which helps me get a better headcount and provides them with the food they want," she says. "I told this to our members and they got excited about providing healthy lunch options. I was able to give them that choice and I think that will increase turnout for future events." It might seem like a small detail, but offering desirable lunch options gives NAWMBA members a better experience, and that translates to higher engagement for the group. As president, Elena is highly aware of the how important it is that her group's members have a good time getting involved. Put simply, she says, "It's an opportunity to bring their heads up out of the books and have some fun." 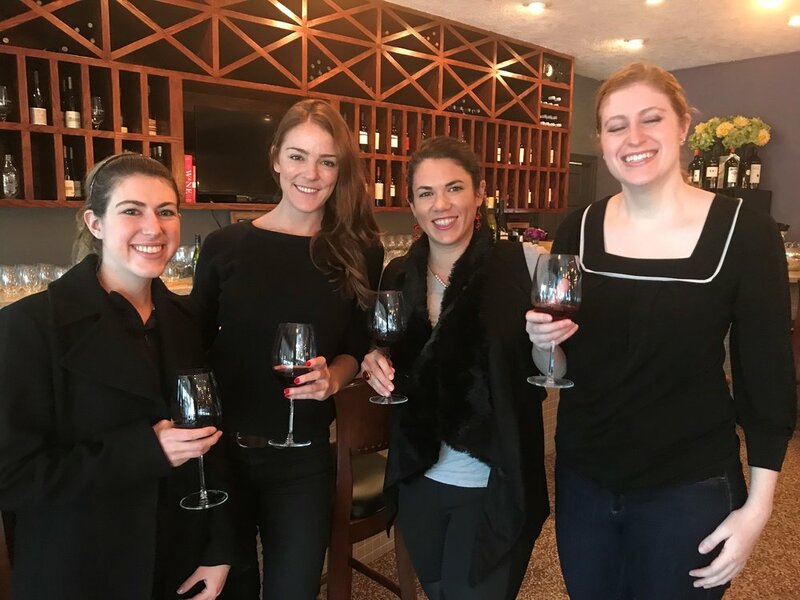 elena's group recently hosted a wine event that brought together group members, faculty, staff, and recent alumni. 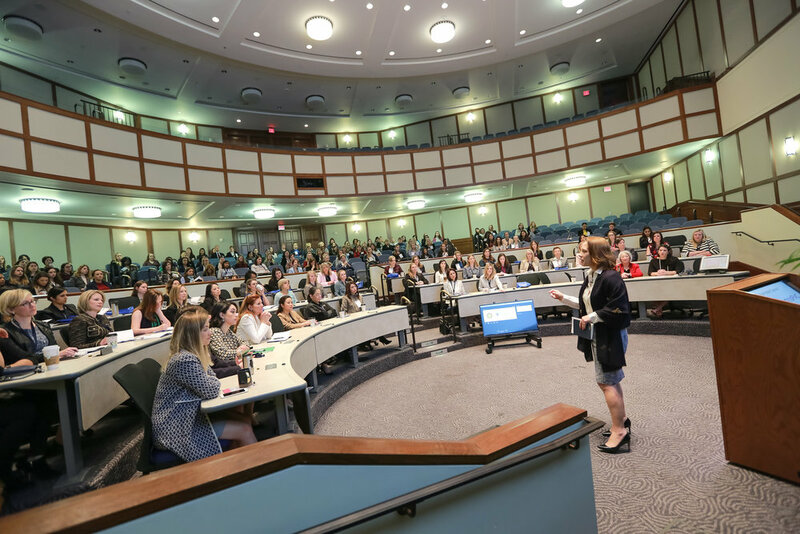 NAWMBA continues to stay busy, having recently hosted the annual Women in Leadership Conference at Rice Business. Elena says the conference, now in its 18th year, was the most successful one yet. 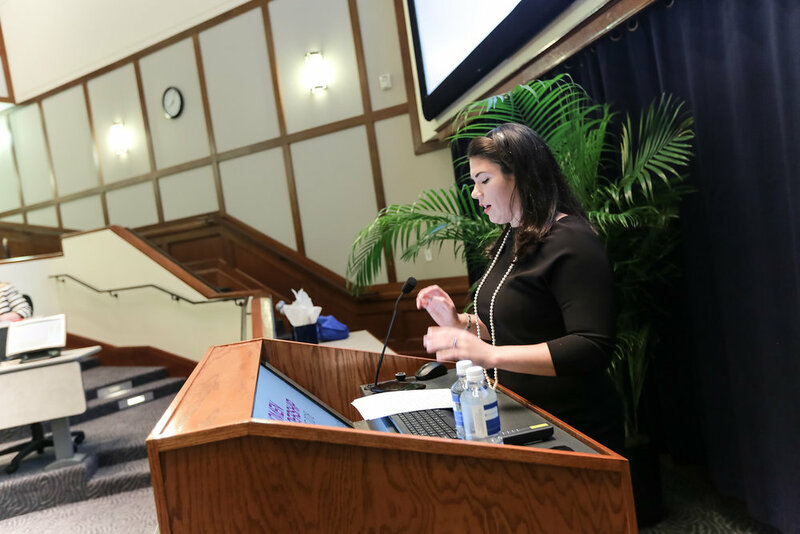 "We were entirely sold out a week before the conference and had a waitlist of attendees to learn from the 37 panelists, keynote speakers, and moderators," Elena recalls. "We raised a record amount from sponsors, and all the leftover funds will be used to provide scholarships for our members for the next school year." Though the conference took place just a month ago, Elena is already hard at work on strategy and preparations for next year's edition. There's never a dull moment when your goal is to bring people together and create opportunities for exciting connections. 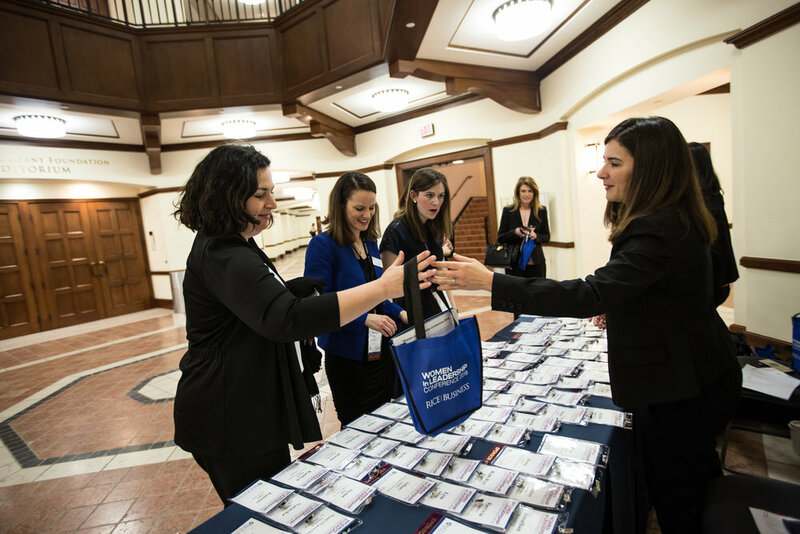 Connect with Elena on LinkedIn, and learn more about the National Association of Women MBAs on their website.